Your website is one of the most integral parts of your business, more so when your business is solely based on the internet. The heart of the matter is SEO, that allows companies to rank their websites in Google and other search engines. SEO is only second to blogging in generating traffic. The Internet is already inundated with columns telling about how to rank higher in Google. But is it possible that even after closely following all these points, there’s still no considerable rise in your ranking? If yes, then maybe you are a victim of Bad SEO (Sounds scary, no?). And it can happen to the best of us. But if you are able to realize what bad SEO exactly is and negate the factors that might result in bad SEO, then you’ll be awarded handsomely by Google. What Does Bad SEO Entail? You’d say that “Hey, I’ve built great links, written original content and promoted it widely on all social media Channels, do I still stand a chance of being inflicted by bad SEO”? Yes, actually despite all the aforementioned efforts, there are still some negative factors that you might be guilty of overlooking. These mistakes can impinge on your website in numerous ways, pushing it down the Google ranking being one of them. I know you want to do everything you can to get some much-needed SEO juice. And what better way than keywords to achieve this? However, to gain good Google ranking your content should be smooth and easy to read. But shoving too many keywords in your content makes it annoying, not to say highly redundant. And Google knows this too – after all, mere mortals can’t outsmart Google’s astute crawling robots. Sensing this unethical practice of “Keyword stuffing”, Google is sure to penalize you by dropping you down in the ranking race. Does it any more cringe-worthy? If you this, Google’s gonna to drop you pretty fast. And if by some chance, someone finds your page, the visitor will surely not avail your “lead generation” services from your “lead generation” company. And trust me no one’s going to check out your “lead generation” tools either. They’ll feel repulsed and will exit your page in a whirl. I can’t really say about ideal, but 1 to 2.5% keyword density is considered pretty safe. See, the thing is Google caters to a humongous audience, so it only wants to display user-friend content. Therefore, you have to ensure that your content is updated, relevant and useful to the audience. And depending upon your respective industry, you don’t have to much to keep your pages updated. 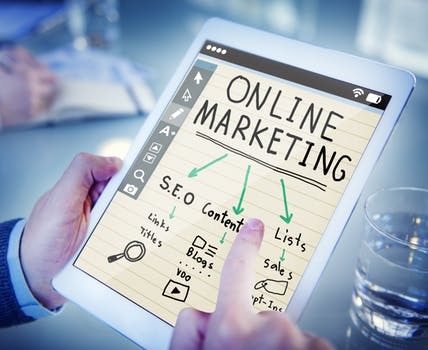 Say, for example, your post talks about “Easy ways to find leads using Google”, the chances are that some of the points will be useful even three years from now. All you would need is to tweak some things and some recent points to make the page updated. So, if you’re not making timely updates, then you know where you are going wrong. Taking some lessons from posts of other experts is nothing new, even those experts might have done that in the beginning. But here we are talking about that shady software that takes seconds to regurgitate rewritten version of an article. And almost every time, those articles are unreadable, annoying and unclear. Does it make any sense to you? See how the words are changed but when to put together in a sentence, they don’t make sense. So, you are better off writing manually rather than using the content spinning software. Moreover, make sure that you are not posting any duplicate content on your website. By duplicate, I don’t mean plagiarised content (because it’s very obvious and of course you would never do that, will you?). I’m talking about self-plagiarism. You might want your audience to know about some other post of yours that was published in some other high-ranking site. But the thing is, Google doesn’t want to crawl the same text more than once. So, if you are posting the same content twice then the chances are that the search engine spiders will not index your page again. 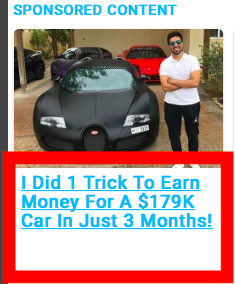 Such Annoying and sensationalizing ads are a classic example of “clickbait” and using this tactic some marketers mislead the viewer into visiting their website. Although, you might not face any punitive measure for this, however, chances are that the visitor will exit within a second and will never come again. Furthermore, it completely diminishes your respect in the industry – to stay away from using such tactics. If you are inducing your content with tens and hundreds of links, then it might one of the reasons why you are facing the dilemma of poor rankings. Link building is necessary, but adding irrelevant and too many back-links can be detrimental. The best method of link building is Guest Posting. Moreover, a number of links are not as necessary as the quality and usefulness of the link. If the Google ever finds out that your website is pointing to too many sites or unethical sites, then your rankings are bound to come down. Will the link be helpful to your audience? Is it adding any value to your post? If the answer is yes, then go ahead and add it in your post. But don’t do it just because you want to fill up your post with links. These were some tactics where you might be going wrong. It’s important that you know where the problem lies before going about solving it. The aforesaid SEO practices are important, not just for Google ranking but also to build your authority in the industry and gain a long-term loyalty and respect.